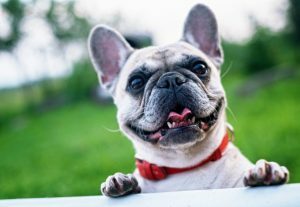 When you’re looking for a dog there are a lot of things to keep in mind, one of the most important is the size of the environment that you’re bringing your new friends home to. Contrary to what most people think, you don’t necessarily need a big yard to have a big dog. The most important thing is finding the right dog for your family and lifestyle. Use an online tool, like this one from Animal Planet, to help you find the best dog breed for your family. Below are some great dogs that thrive in yards. English Bulldogs aren’t known for their sense of adventure, or love of exercise. If your yard is on the smaller side, and you’re not into long walks every day, an English Bulldog may be your new best friend. 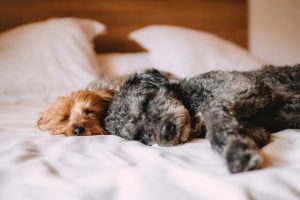 Napping, lounging and generally lazing around are on these dog’s must-do list, so these pups don’t need a lot of room to run. Known for being stubborn, you may lead an English Bulldog to a big yard, but it doesn’t mean you can make them play. A bully is happy with enough room to do their business and catch a few rays, just make sure they get enough exercise to stay healthy. Don’t let their grumpy face fool you, bulldogs are call and friendly pups that will love to spend time you and your family. With short legs and big personalities, Pembroke Welsh Corgis are a great choice for a medium size yard. Corgis love to run and play, but those little legs mean they don’t need a huge yard to roam. 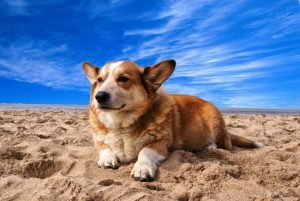 Probably best known as Queen Elizabeth the II’s favorite companion, the Pembroke Welsh Corgi is a herding dog that will attempt to roundup whatever is in their yard – ducks, sheep, children. Don’t be surprised if your corgi likes to spend their time racing around your yard trying to coral the family. Corgis are affectionate and friendly without being needy. These pups enjoy spending time with their humans and have a big dog personality in a pint-sized body. They are energetic, so you will need to spend time in the yard with them to make sure they get enough exercise. Got a backyard made for throwing a ball around and a game of fetch? A Boston Terroir may be perfect for your family. Lively and energetic, these dogs love to play so a yard with room to run is a must. Sometimes called the American Gentleman because of their tuxedo like markings and great manners, Boston Terroirs make great family pets because of their sweet and gentle nature. Their big eyes will shine with adoration and innocence, but don’t be fooled, these compact pooches can be a handful. The old saying that a tired dog is a good dog holds true for terroirs, 30 minutes of exercise a day will help your fuzzy friend burn off energy and keep from getting into mischief. 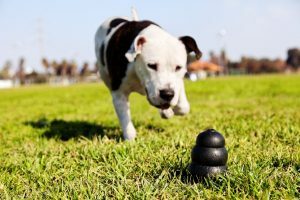 Consider putting things in your yard to keep them entertained, like balls or obstacles that will keep them busy. Originally bred for hunting, Greyhounds can reach speeds of 40-45 miles per hours. So, you would think these sleek and graceful hounds need a lot of room to run each day. Nothing could be further than the truth. Touted by some owners as “40 Mile-an-Hour Speedbumps”, the sweet-tempered greyhound would rather be napping on the couch than playing fetch. That’s not to say that a greyhound won’t race after a rabbit or a squirrel if they see one, so if you decide to bring one home make sure you have a fenced in yard because they’ll run until they are out of space or completely exhausted. Greyhounds are probably best-known for being racing dogs. Once their racing careers are over, adult greyhounds are available for adoption. For some of these beautiful pups, the transition from racing to retirement can be difficult, so be prepared to spend a little time training and helping them adjust to their new life. The Newfoundland is widely regarded as the one of the best dogs for a family. Often considered the “nanny” dog (that was a newfoundland taking care of Wendy and her brothers in Peter Pan), these gentle giants are great with kids. Newfies usually weigh 143-176 pounds but can weigh as much as 200 pounds, which leads most people to believe that they need a lot of room to run and play. In truth, Newfoundlands are happier snoozing in the grass than running through the yard, making them a great dog for any size outside space. The Newfoundland’s webbed feet and thick coat make it a great water dog excelling at water sports and water rescues. You don’t need a backyard pond, but the occasional trip to a lake will be a treat for both four-legged and two-legged family members. Dog are great companions and can make a house like home. They are also a lot of responsibility. Make sure your home is ready for new friend. An invisible fence will keep them running and can help protect them from strays and wild animals. Keep your dog’s safety in mind, as well as their personality and exercise needs, when you’re prepare your yard for your newest family member.